This is my rebound to tetris.com's post about rare Tetris games. Being quite literally The Tetris Company, you would think they would be able to talk about some truly rare titles, but because of the many licensing issues Tetris has had in the past, they probably chose not to. Tetris.com decided to choose 3 games. This isn't a rare game. You can find it pretty much anywhere you go for about $5–10. That's all I have to say. If you go into a second hand store and ask to see DS games, you'll likely find Tetris Party Deluxe. Tetris DS was a staple of the DS platform, and admittedly is a little rarer than the other title, it is very easy to find online, for $10-25. And some regions for even less. This game is actually the rarest of the bunch in their article, but because of the higher prices, it doesn't sell fast, and it's quite easy to find a copy of online. The thing is though, this isn't really a Tetris game, it's more like Blockout. And that's strike three. If I can just go on ebay and after a few clicks own these three titles, I don't consider them to be rare. Let's redeem this and show you a proper list of the rarest Tetris games every to be. Pokémon Mini was kind of a sleeper console. Not many really know much about it, nor did Nintendo or Pokémon really promote it. With the popularity of Tetris on handhelds, it was a no brainer to bring Tetris to this console. 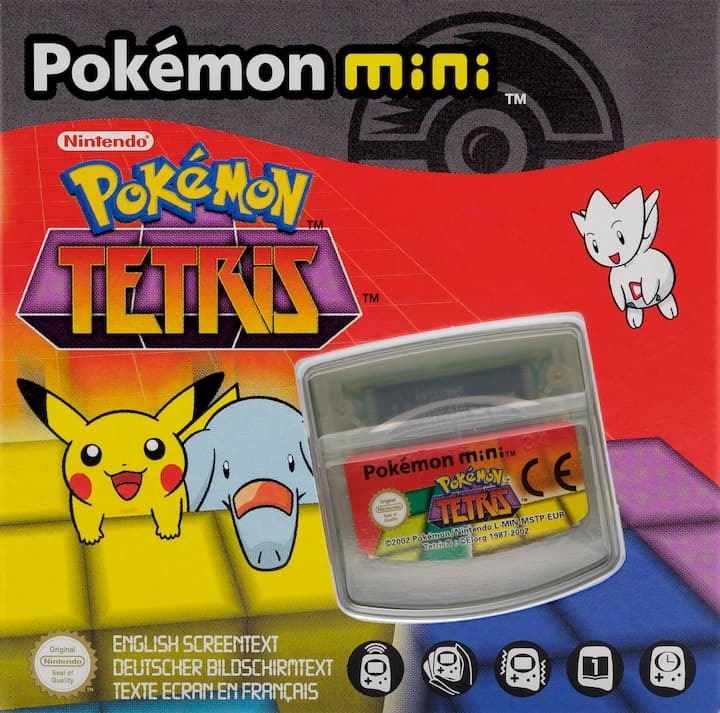 While there were a few Japan exclusives, Pokémon Tetris was the only game released in Europe and Japan, but not North America. This along with the low popularity of the console lead to the European version (which includes English texts) of this game being quite rare. One of the goals of the game is to catch all of gen 1&2 Pokémon by doing Tetris line clears. If you like to see the English names of Pokémon, you're better off getting the European version and not the slightly less rare Japanese version. Being an arcade game, and exclusive in Japan, the game is already rare to begin with. There's rumored to only be a few hundred copies in existence. Your best chance of playing a real copy of this version is to fly to Japan where you can still find it in some arcades. As a collector your options are limited. After the popularity rise of the Grand Master series in 2015, the game has gotten even rarer. 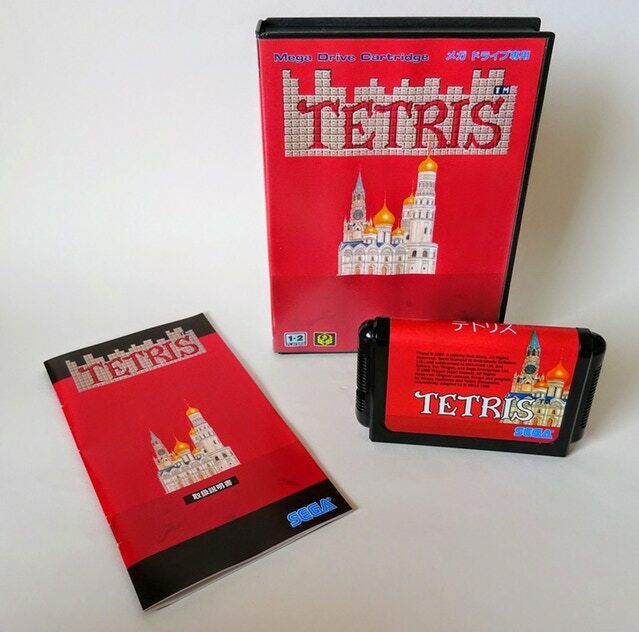 You've probably heard of this title before, as it is not only one of the rarest Tetris games ever, it's also one of the rarest games in the world. The story goes, after much turmoil in licensing, Atari had secured the arcade rights, BPS the Japanese console rights, and Nintendo the console and handheld rights in the west. Atari having little interest in publishing in Japan, decided to sublicense the rights to Sega for that market. This is where the story gets hazy. Sega was having a lot of success with Tetris on the arcade, and even porting it to other hardware to make cheaper versions. Sega decided to try and release a Mega Drive version. Before they could launch anything, BPS holder of console rights in Japan blocked them from doing so. A rumored ~10 copies of the game actually exist, and Sega denies the game was ever a thing. My theory is that while Sega was porting their arcade version to many of their arcade platforms, a Mega-Tech version was being made and printed. From those, they made a short run of 10 Mega Drive games to use as a selling tool to try and acquire the rights from BPS or ELORG themselves, but failed. Those copies somehow made it into the hands of collectors, and ex employees. Not to be confused with the PAL exclusive 3 in 1 game that includes Tetris, this version is much much rarer. 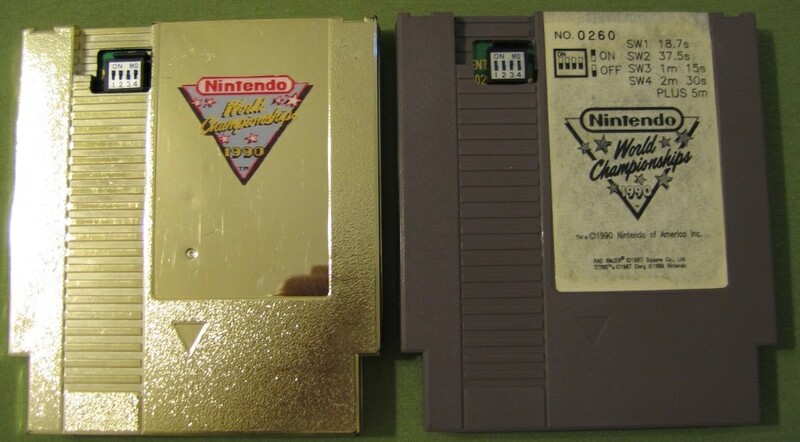 There are two versions, the 26 gold carts which were won in a contest run by Nintendo Power, and the 116 grey carts. Apparently 90 grey carts were given to the finalists of the NWC. They are extremely sought after, and go for tens of thousands of dollars. No matter what region you buy Tetris for Game Boy from, it's likely going to be the same version, v1.1. Little known to most, v1.0, a version without the Tetris theme, was sold in Japan. v1.0 was only sold as a bundle with a link cable. With around 25,000 copies sold, a relatively low number when it comes to games, it is hard to find. I had trouble finding information about this one, the most reliable source was from a French Tetris fact book. Rumored to have only 100 copies of this cartridge made, there are more likely around 1000. They were awarded to players who submit their highscores to BPS, the publisher of Super Tetris 2. Developed in Montreal by DTI Software (now Global Eagle), it received a graphical update around 2013. Your plane's entertainment system will need to run either Linux or Android. Pricing for this game is gold tier, which happens to be the 3rd level out of 6 pricing levels. If you can afford that than you might be the ultimate collector. It's unlikely The Tetris Company would ever mention this game, as it was the subject of a large lawsuit between Nintendo and rival Atari. This game was released a little before the official NES Tetris title, and quickly pulled off the shelves and destroyed after about 250,000 copies were sold. They tend to be rarer in some regions, and fetch a high price, but the availability online is quite common, and I would only call versions with a box in good condition rare. There are so many official copies of the game, some released for oddball rare consoles like the Nuon, or as dedicated handhelds that have almost no imagery on the internet. I didn't mention them in the main article because I know almost nothing about them. I hope to one day find them and be able to revise this article with the most difficult to find titles.